This is a beautiful rug and the pile is very thick...feels great under your feet. Looks great in living room! Although animal print is strong it really becomes a neutral and blends well within room! Love it! Add a subtle yet unique accent to your living space with this indoor area rug from Martha Stewart. 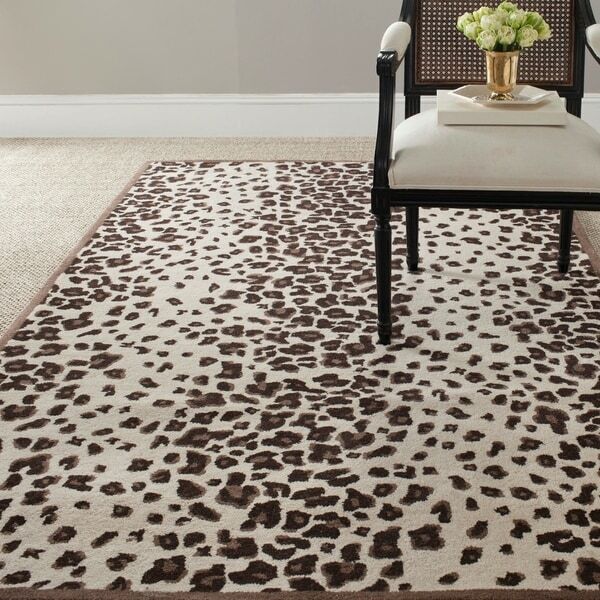 The Kalahari is a lush brown area rug featuring a modern take on the famous leopard print design. This hand-tufted rug also comes with durable cotton backing and premium viscose and wool that is sure to stand the test of time. This rug is wonderful! I just received it - it is on my living room floor and it is very beautiful - expensive looking and feeling - perfect use of neutral colors and a room changer. To think I almost cancelled this order - this is winner! Since the rug is wool I believe it will wear well. It looks just like the picture so is as expected. This was a beautiful rug but it did not hold up. I do not have children so there was no wear or tear due to children. It is time to replace it already. Every time it was vacuumed it stopped up the bagless vacuum cleaner. That is how much material that was lost from just weekly vacuuming. Sorry Martha Stewart -I would not recommend this rug. I have this run in my living room and love the statement it sets. It is unique without being over the top. The rug is a thick pile and feels great to walk or sit on. So far it is wearing well. I would buy this rug again. I was surprised at how heavy and nice this rug is. Even putting it on top of plush carpet with heavy furniture on it, it still lays flat. My only negative is that it looks different than the picture. The pattern is much larger than the picture shows. The colors are nice though! It's a fun pattern, nice rug. It did shed a lot at first but seems to have settled down. Martha Stewart Rug is so cool!! Chic &amp; Stylish! This rug made the room pop!! 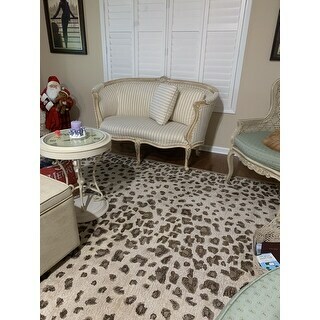 I love the print and the fact that it is a lighter version of leopard - the colors seem perfect - very chic and perfect for my living room. "Hello to me this looks to be in cool brown tones with off white...in other words not reddish browns, Please assist Best Heather"
Hello Heather, we do our best to represent colors as accurately as possible. Due to monitor settings, colors may vary slightly. The main color is a rich Sequoia Brown. There is an off white color as well. Please let us know if you have any other questions. Thank you for shopping with us! A.C.